AMF Reece has long experience in manufacturing and developing pocketwelting machines. AMF Reece pocket welting machine Series 42 introduced in the 60s became the world’s first automatic pocket welting machine. Since that AMF Reece has successfully sold a number of pocket welting machines. Currently AMF Reece offers lockstitch pocketwelting machine LW-7000 that efficiently sews single, double straight and slanted (angle) welts depending on the machine modification. This versatile lockstitch pocketwelting machine can be used for all types of welted pockets and is ideal for all segments of the apparel industry. 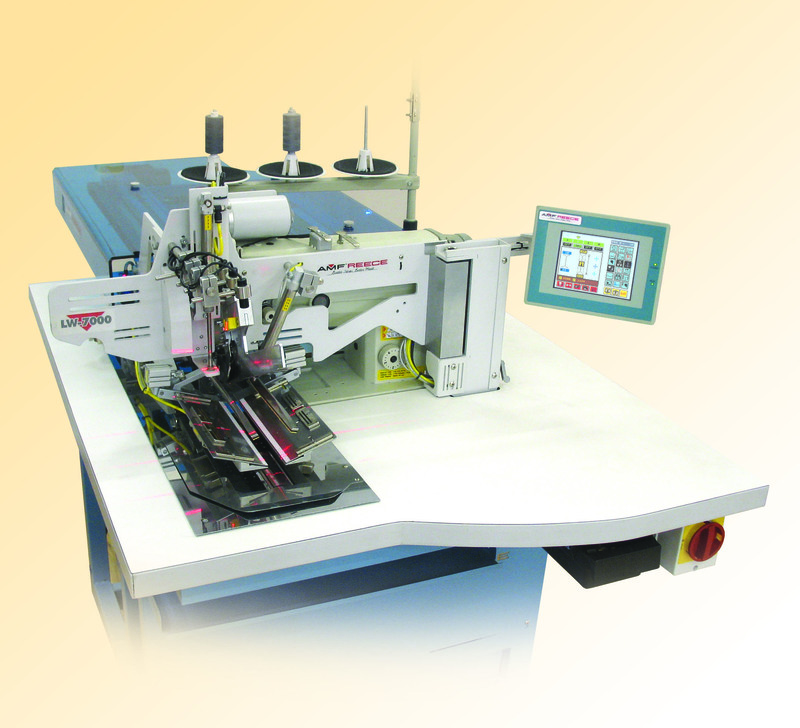 Available models and a wide range of optional accessories make the lockstitch pocketwelting machine capable for use on a wide variety of applications.